The OpenTHC API Specification is not an API for a specific system, rather it is an approach towards a common API for the cannabis industry. This document, and it’s contents should be viewed as proposed guidelines. There are currently 100s of new software vendors in the cannabis technology space, some with APIs, some without. Each of these systems, as well as the government software provided by BioTrack, METRC, LeafData, etc, has a unique approach, with unique terminology to the same core data. This makes interoperability difficult, or at least tedious. These proposals include a common data model, with provided JSON schema and samples as well as a REST (or JSON-RPC) style API. These models and interface are hopefully useful for others constructing tools in this space. We want these standard base data models for objects in the Cannabis Industry to represent the common data all of our software shares with a common language and provide a basis for data increased interoperability. With this foundation maybe we can all move a little faster. The system store all values internally in grams or liters, accurate to four decimal places. That is, accurate to 0.1 milligram/milliliter; expressed internally as grams or liters. Authentication to OpenTHC can occur through different methods with a preference for oAuth2 When OpenTHC is connecting through to a back-end system some of those parameters may need to be passed as well. OpenTHC will will respond to both set a cookie your client libraries can use to retain the session. Or, this token can be included in a request header as a Bearer token. the OpenTHC Pipe service uses mapped-pass-through credentials dependent on the backend. The /auth/ping endpoint provides a method for a client to check the status of their connexion. It should respond with some type of JSON, which may be dependent on which upstream system is in play. "detail": "All Systems are Go"
Any request to /auth/shut with a session or access token will terminate/revoke this session or token. This request should always respond with an HTTP Staus of 206 for success or an appropriate HTTP Status on error. A Company is a container for one or more Contact objects. A Company will have one or more Contacts and one or more Licenses. A Company is a container object, which will contain one or more License objects, and one or more Contact objects. A Contact is a human, as a member of a Company. A Contact may be a User or and Employee or simply a record for a visitor to a Company/License location. A Contact may authenticate to the system. Each user is identified by their email address, which must be unique across the system. 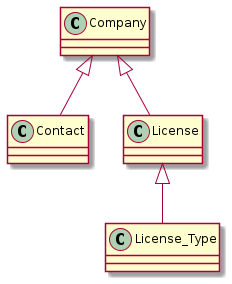 A standard contact object contains name, phone and email address. User access to the system is logged. 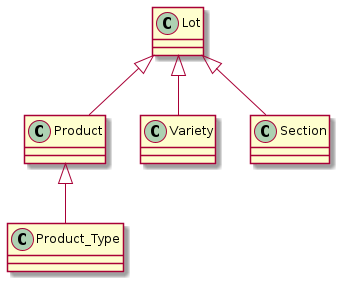 Group ownership is checked on all object access. Each user has an access control list expressed for them. Creating new Plants from either Clones or Seeds or other allowed Inventory Lot types. Change either the Batch, Strain, Stage, Zone, Planting Date, Mother Designation or other regulatory system defined attributes. When present, attributes will follow the OpenTHC JSON Schema. An implementation is free to extend these attributes. Marking a Plant as Deleted is the method to mark or confirm destruction of plant material. If the compliance engine requires confirmation then a DELETE method is sent once to mark as scheduled for removal, and a second DELETE request to confirm. Add documentation about feed, fertilizer, nutrients, pesticides and other things added to or on the plants. Additives record the application of some material to the plants, including pesticies and nutrients. Notes on the plants record the application of nutrieinets, pesticides and other matter. Farmers may also use the Note field to attach comments or photos to the records. A Wet Collection, sometimes called a Harvest or Manicure, is the process of taking raw materials from the crop. Wet materials collection is also known as Harvesting or Manicuring. Generally the phrase harvesting means collection from the entire plant, while manicuring implies that collections will be made a bit at a time. From Plants one or more Wet Collections can be made. A Wet collection is to enter materials that have been directly collected from the plants. Then Plants are added to this Plant Batch, including the weight in grams. Dry materials collection is also known as Curing. These dry materials are pulled from plant batches and classified by the farmer. The reply includes the ID of the inventory items that were created from this process and includes and advisory value of the new weight of the affected batch. This call can be repeated for each kind of material collected. A regulatory system specific type of adjustment to the inventory, generally requires a note. The process of taking one or more Source lots and converting into one, or more, Output lots. This will record the removal from each of the indicated source items and record the linkage to the single output item. Slice off a portion of an existing inventory, also known as Sub-Lotting. From an Inventory Lot create a QA Sample Lot, which is a special type of sub-lot from the primary Inventory Lot. This Sample item will have a unique identifier and a child relationship to the source. Return the details of the QA Sample, including which tests are required/requested. Similar to requiredlabtestbatches API call in METRC. If the sample is no longer valid and the material is being returned to the supplier, use Void. Generally the Labratory (or sometimes the Licensed Operator) will update the QA results in the system. Either through the WebUI or via API. "detail": "Call Delete again to confirm"
A Transfer manifest is prepared to indicate the Transfer of materials from one license holder to another. Export is the process of selecting one or more Inventory items and preparing them for delivery. Items and Quantities (or Sub-Lots) are placed on a Transfer Manifest. And this Manifest is filed with the regulatory system. Incoming Transfers is the process of receiving a request, processing the materials into the target License inventory. Each line-item, and it’s tied back to the Retail Sale as well as the specific Inventory Lot. The OpenTHC API also supports interactions to keep track of the companies, licensees and locations. Inputs for grow supplies; adding a bulk item, with cost and the removing portions. If it’s a really good idea please consider a pull request. Additionally, the JSON can be extended, without affecting the base. The addition of an x-[vendor] attribute to a JSON model should suffice. This is shown in some of the examples.